Urban archaeology presents a particular set of logistical challenges. Our priority is always to make sure that our projects are completed safely in what can often be constrained or deep spaces. The need to work closely with the client and ground contractor is paramount. The experience of our teams in such environments means we can carefully tailor our strategy to the specific needs of each site, ensuring the most cost-effective outcome while maintaining the highest standards of quality. 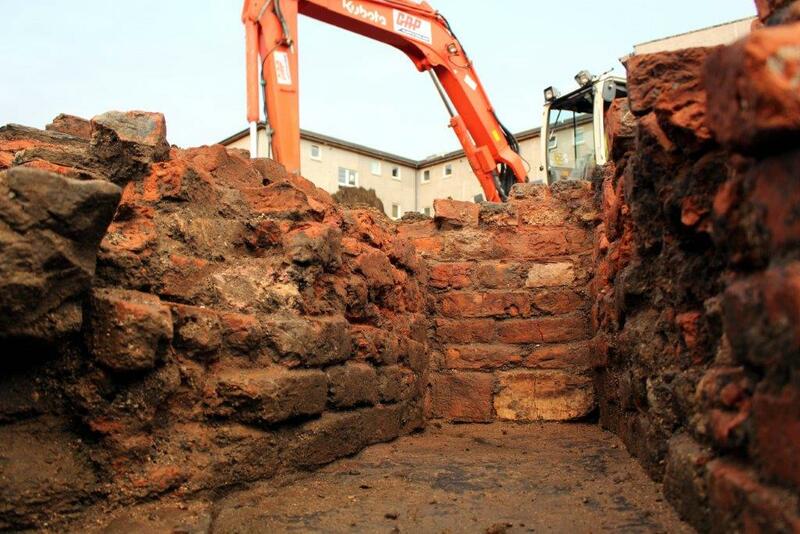 Our long-standing involvement with the re-development of the former mill site at Gorgie Road, Edinburgh began in 2007 with the completion of a desk-based assessment followed by trial trenching in 2011. In 2014/15, additional phases of work were undertaken including historic building recording, further trial trenching and mitigation excavation. 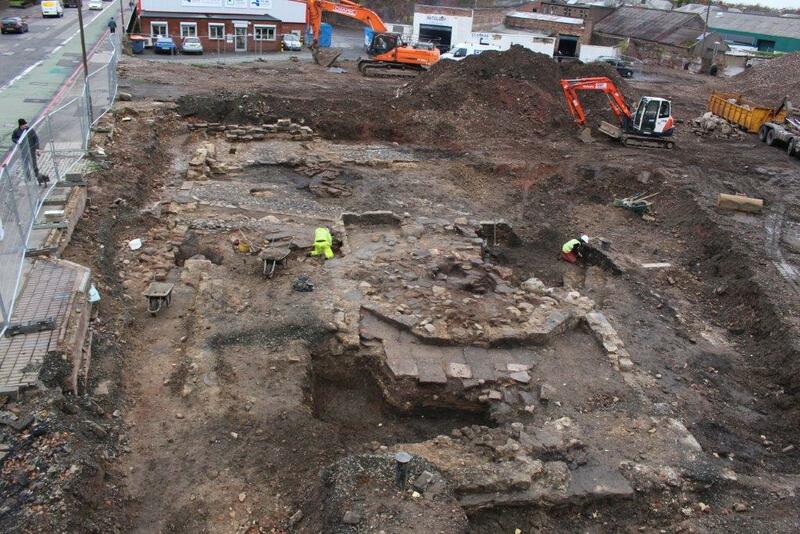 The proposed commercial re-development of a site that had once thrived with mill works and associated industries required a varied programme of archaeological investigations to address the associated planning condition. The trial-trench evaluation was carried out while demolition works were ongoing and neighbouring businesses were still active. This brought with it the need to ensure the team operated in a safe zone while minimising delays to the ground contractors. From the outset, close communication with the client meant our work was programmed between demolition episodes, therefore any access or H&S issues were quickly resolved. 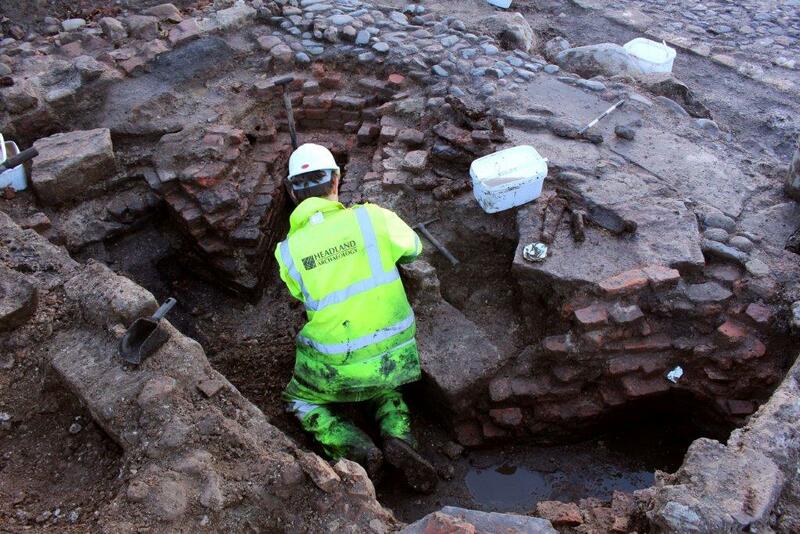 The trial trenching identified remains associated with 18th-19th century mill, tannery and glue works despite modern development on the site. In order to fully characterise the deposits, it was necessary to undertake targeted mitigation excavation to allow the re-development of the site to progress. Understanding that time constraints were a significant factor on the project, we were able to call on our extensive resources to scale up the team and progress rapidly straight into the excavation phase. In addition careful selection of strategy and equipment, such as the use of photogrammetry and dGPS on site, meant that the archaeology could be recorded in the most efficient and least time consuming way.